The Committee met to further deliberate on outstanding and proposed amendment of the Financial Sector Regulation Bill. The proposed amendments and questions raised were on; independent inquiry, model of appointment of the Commissioner of the financial sector conduct authority, operational independence, determination of fees and administrative penalties. The Committee also deliberated on amendments that were requested by the Banking Association of South Africa, the Department of Justice and Constitutional Development conveyed willingness to consider the revised proposed technical amendments intended to update terminology and remove references to repealed legislation. However, amendments that departed significantly from the existing insolvency regime required further interrogation and consultation with relevant stakeholders. The organisation of Traditional Leaders of South Africa rejected the Bill and the laws associated to it in its entirety. Further questions and deliberations were on the piercing of the corporate veil to hold Directors liable for company actions and the obligation of banks to inform consumers on reasons why a banking account was closed with particular reference to the recent closure of Oakbay bank accounts. Mr S Buthelezi (ANC) indicated that he had requested National Treasury to appear before the Committee on the matter and it appeared that there is no strong reason for either of the position. Mr Ismail Momoniat, Deputy-DG: Tax and Financial Sector Policy, National Treasury, suggested that the wording “Minister and Governor may be removed, and that sub-clause (a) appears to be harsh but b, c &d is fine. The Chairperson commented that there is no difference between the DA and the ANC on the matter and asked about the main issue that was in sub paragraph 4. There is generally an agreement on many issues between the two parties but there could obviously be a huge difference on the wording on some of the clauses. The solution would be for the Committee to firstly hear from the Treasury before hearing the opinion of Members on the issue. There are no major policy issue. Ms T Tobias (ANC) indicated she would have considered the proposed insertion if it was worded differently. The word “good reason” is a normative statement and subject to interpretation both in a simplistic and legalistic form. “Good reason” can be interpreted differently; what is good reason to another person might not be good reason to the other. If there was a list of issues identifiable to take a matter on good reason would have considered the provision. Ms Tobias requested Mr Maynier to substantiate the provision so that it can be understandable. The way it stands cannot be inserted into the legislation. The Chairperson sought guidance from the Committee on the matter as he did not personally have a view on the matter that was being discussed. Mr D Maynier (DA) added that it is not an obligation on the governor to institute an independent inquiry or to act upon it and something that the Committee should seriously consider. Ms Tobias indicated that Mr Maynier is misconstruing the view. The view is not that governor should not institute an independent inquiry. Ms Tobias asked what the “good reasons are” as proposed by Mr Maynier and added that she does not understand the difference between sub -clause 2 and the proposal being made. Sub-clause 2 says that an independent enquiry can be established and gives reasons thereof. Sub-clause 4 is a new insertion all together, says that; is an independent inquiry has been established in terms of sub-clause 2 the governor may suspend. The clause already provides reasons. The Chairperson mentioned that the “good reason” is not referring to sub 2 (a) & (b) and that Ms Tobias might be interpreting the clause in a colloquial sense but there is a legal term called “good reason”. Adv. Jenkins was asked whether the term “good reason” is interpreted generally or legally and if it will create any problems. Adv. Jenkins responded that indeed the word “good reason” was a perfectly legal term that was being used and there are other words like reasonable grounds or good cause which could be used. Mr Momoniat commented that if the clause is there; if a candidate is not performing his duties then an independent inquiry will probably make findings. Mr Buthelezi enquired on how a Governor is removed, and whether it depends on an employment contract or an independent enquiry. Mr Momoniat responded that South African Reserve Bank has operational independence. Once an institution has operational independence, the power of removal cannot be with the Minister or the President. Mr Unathi Kamlana, Deputy-Registrar of Banks, South African Reserve Bank, added that in terms of the current legislation, there is no process provided for the removal of the Governor. Ms Tobias commented that the matter is not the independence of the institution and the gist of the matter is the proposed wording of “good reasons”. Mr A Lees (DA) commented that there is no obligation for the process to be redone, in other words the consideration of the decision on this matter should automatically be voided and must be reconsidered without the presence of the member. Create a mechanism to ensure that any decisions made can be reconsidered without the presence of a member. Ms Jeanine Bednar-Giyose, Director, National Treasury, noted that National Treasury generally agrees with the proposals. Mr Buthelezi enquired what the 30 days is referring to. Mr Roy Havemann, Chief Director for Financial Markets and Stability, National Treasury, responded that the 30 days is after the removal. 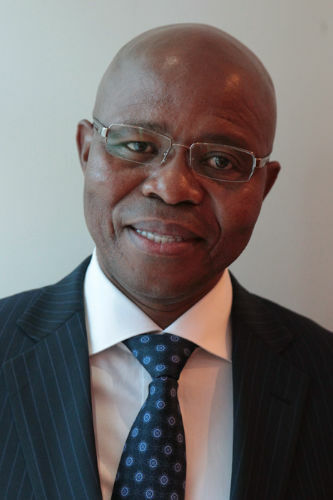 Mr Maynier proposed that the model of appointment be very similar to the way the Public Protector is appointed, in other words, the Minister must appoint the Commissioner of the Financial Conduct Authority, a person who if fit and proper nominated by the Committee of the National Assembly and approved by the majority resolution. The Chairperson indicated that the third proposal is probably a policy matter and has been made before. Mr Havemann added that in the United Kingdom the Parliament interrogates the nominee. Ms Tobias noted that earlier during the discussions raised the point that the appointment of Commissioners needs to be discussed. Mr Momoniat indicated that he understands the intention being conveyed. There has to be a distinction between appointments of institutions like the Public Protector. The Chairperson commented that if looking at the tradition of a democratic parliament, in light of Mr Momoniat commented that, in this particular context and given the way things are it might not be a bright thing to do. There may be a compromise where there is an appointment by the Executive but involves the Parliament because the conduct authority is answerable primarily to the people. The conduct authority has many responsibilities but its primary role is to protect the consumers. The Chairperson requested the Members to think of a compromise in the appointment system. Mr Maynier indicated that the proposal of clause 65 is similar to that of clause 39. Adv. Jenkins commented that in order to assist with the process, if the Committee deals with clause 61 and the appointment process then the removal process will be similar. Mr Maynier indicated that proposal 6 was dealing with clause 86 on page five of the document, the amendment seeks to compel the Ministerial Council to commission an independent inquiry after the inquiry in terms of clause 77. Further, compel the Minister and the Ministerial Committee to trigger an evaluation and include the analysis of the memorandum of understanding. Thereafter, the commission can commission an independent evaluation. The proposal is based on the fact that the Ministerial Council cannot undertake an evaluation and be independent, there has to be some kind of institution to carry out the evaluation. Ms Katherine Gibson, Chief Director, National Treasury agreed with Mr Momoniat. The way the proposal is to check that the coordination is in place and evaluation. Mr Momoniat added that initially there has to be checking of whether the systems are in place and that after every few years there is an evaluation. A lot of peer reviews that are done do look at the issue of coordination. Mr Maynier noted that the intention is to ensure that the MOUs are in place and that they are working. There should be an amendment to ensure that there are regular evaluations. Ms Tobias indicated that she is still going through the provision. The Chairperson suggested that the Committee should discuss the issue again. Mr Maynier suggested that in the original formulation there can be a requirement for an independent evaluation. The Ministerial Committee is part of the executive and should not carry out the evaluation but commission and independent body to do the work on its behalf. The Chairperson commented that there is concern over the need for cooperation and collaboration therefore the provision is being tightened to ensure that it happens. Mr Momoniat indicated that the National Treasury will look at the wording. Mr Lees commented that it is somewhat strange that one’s right to not self-incriminate is being eradicated away, objecting to the provision. Adv. Jenkins responded that there is a provision that deals with self-incriminating evidence and not certain if it is clause 117. Ms Bednar-Giyose added that the provision refers to the obligation of reporting information in particular matters. Adv. Jenkins responded that the right to self-incrimination applies in criminal charges and not in administrative issues. Clause 140 indicates that one cannot be charged unless if he/she has lied again. If one needs a criminal prosecution, the prosecution needs to its job, one cannot be forced to speak up. If someone is speaking up in terms of the provision, it cannot be held against them. In so far as the drafting of the provision is concerned not certain if there are additions, appears as if some objective issues are being taken out. The understanding from reading the provision is that it is being widened and cannot comment on whether the provision will stand up or not. Ms Tobias said that she does not believe that reporting can be seen as incriminating evidence and for anyone to come to the concession that there is a criminal offence and that reporting is obligatory as far as she understands the provision. The Chairperson remarked that someone else can look at the provision but not convinced that there is a case. Mr Lees noted that it is not a court of law therefore cannot be a court order. Adv. Jenkins commented that nothing indicates that it is an order of court but unless there is good reason that it is an order that one has made, what one can do is to inform that person that there is commencement of administrative penalties/ process. It is basically an issue of notification. Ms Tobias enquired as to why the provision should be limited to a court order. Adv. Jenkins responded that it is not a court order. Ms Bednar-Giyose noted that the National Treasury has a slight concern with the proposal because it was required that a formal application is made to court. The provision is under the financial sector legislation. Mr Lees said that he does not think that the intention is that every single application has to be made to court. Mr Lees commented that making an administrative declaration is equivalent to a court order and asked if there is an encouraging argument that the economy will collapse if it has to be taken to court. It is a question of principle rather than adding and administrative burden. Adv. Jenkins commented that he looked at the Constitutional Court judgement earlier which dealt with emolument attachment orders and deal with the similar principle of judicial oversight over an agreement. This is the principle that should be kept in mind if dealing with administrative penalty that flows from an administrative process, so there is already some kind of fair process that can be challenged in terms of the clause. Adv. Jenkins expressed that he is not convinced from a legal perspective that facilitating a process trying to get around judicial over sight by making an application is wrong in this instance. Mr Maynier indicated that he has raised the question of operational independence and in the formulation in question, ultimately the Minister must approve and of the view that the appropriate body would be the Parliament after consultation with the Minister. The Chairperson commented that the proposal implies a policy difference is not a technical issue. Mr Momoniat commented that the current set up with all entities is that; there is approval process and of the belief that Parliament should play a role in the budget of the entities. The argument is why the system has to be different from the current arrangement. Once Parliament gets involved, it complicates the issue. The levy is done in terms of the Bill although the Minister may have some regulatory powers. While looking at the budget the view was that it will be an issue for the next upcoming years and an oversight is required once the fee & levy are determined thereafter published for comment. He mentioned that if there is complete operational independence then the regulators can determine their fees so there needs to be some sort of Ministerial oversight and subject to usual process of Parliament. Adv. Jenkins commented that Parliament plays an oversight role over governance of the country and if Parliament gets too close to the operational issues the oversight role becomes too narrow. Mr Lees commented that Mr Momoniat made a point about operational independence nevertheless if the extreme is taken and assume that there is no Ministerial intervention or Parliamentary intervention, then it becomes possible for the institution to set a fee at any level. There will be no mechanism other than “toy-toying”, the issue is that there is no competition. The position is that the Minister is being given some say thus moving the operational independence. Ms Tobias commented that there should be a distinction of parliament’s role in respect of dealing with operational matters due to the fact that parliament is a political institution and said that the National Assembly should not be involved in fees. The role of the Executive seemed to overpower that of Parliament and this was an issue that needed to be taken into consideration. Ms P Kekana (ANC) agreed with Adv. Jenkins response and said that her challenge is with the notion that “National Assembly must approve”. At some point it was discussed by the Committee that there can be a forum where all parties are invited. Mr Lees commented that he understands the regulation about Parliament and oversight as well as the operational independence. The Chairperson said that it is a policy issue and a difference between the role of the Executive and Parliament. Ms Bednar-Giyose commented that there is a role for Parliament, the consideration for the public to comment on the budget. Mr Maynier commented that clause 251 and corporate information sharing and makes reference to the obligation to disclose in terms of national legislation, the Promotion of Information Act and suggested that it should be inserted as a provision. Adv. Jenkins responded that as far as he knows that the legislation applies across the border and the understanding is that application should also be in terms of other legislation. Ms Bednar-Giyose agreed with Adv. Jenkins. Mr Lees referred to clause 270 dealing with imposing of administrative penalties, where there is absence of fault, which is wrong and unjust. The amendment does not eliminate the penalty, simply narrows it down, takes out the question of absence of fault and keeps the high penalty. Sub-clause 1 is retained and clause 2, make it apply to believe or reasonably believe because imposing an administrative penalty of R10 million when there is no fault is not right. Ms Bednar-Giyose commented that the intention is to have two requirements, where there is intention and where there is none. In sub-clause (a) the maximum is R5 million and sub-clause (b) where there is intention is R10 million. The DA intends to take out the lesser offence, where there is no fault, which is strict liability. It is an offence to provide misleading information and should be subject to liability. Ms Gibson added that there are two issues to consider; where there is nothing wrong that has been done, then the question becomes that of intention; whether the act was deliberately done or not. Mr Buthelezi said that his concern is of the quantum and that the assumption is that the provision is dealing with big institution. The discussions included inclusiveness which talks to smaller companies. Ms Gibson responded that the penalty will be applied proportionally. Mr Kumlani added that a lot of factors are taken into account including proportionality. Ms Tobias asked if there is any other clause that relates to proportionality. The clause provides two penalties, seemingly they were meant to look at the maximum penalty. The first one is whether false information was provided that being the reason why the latter penalty and the second one when false information is deliberately provided. Mr Lees commented that he has no counter argument because from what he heard it appears as if there would be some redrafting. Ms Gibson asked if the concern in the current drafting is about instances where there is no fault and if the intention is that there can only be a penalty where the action is deliberate. Mr Lees noted that even if there is no intention there are consequences. The first instance is a situation where someone does something wrong and completely unintentional thus the penalty is impossible. In the second case where there is intention, it is fine and not objecting to the provision. Mr Maynier added that there is fault in only one scenario, surely there must be some intent to commit an offence. Ms Tobias commented that there is difference in interpretation. Adv. Jenkins noted that when he went through the Bill, it is one of the provisions that he highlighted. If there is a lack of intent or negligence and little bit concerned about the provision and enquired about the onus of proof and aim of the clause. If the intention is to take away the burden of proof from the regulators and so forth then it must be clearly stated. Adv. Jenkins further suggested that there is fault and fault is an element of any crime and of the view that Parliament would do the right thing by indicating the specific fault, i.e., negligence or intention. Ms Tobias commented that at the moment the issue is interpretation of the clause as it stands and that it is not suitable to have any clause to be subject to different interpretations, if so, it would have to go through a litigation process for the interpretation to be settled. The issue is the first sub-clause that provides that a maximum penalty can be imposed where there is no deliberate submission of wrong information. Ms Tobias requested that the clause be dealt with. Mr Momoniat commented that there is certainly a problem and that the wording will be revised. Mr Jonathan Dixon added that the intention was that the first clause deals with negligence and the second clause to deal with intent. The issue is that with the first one the clause is silent on negligence and of the view that it is not a big issue. Mr Maynier asked Adv. Jenkins whether the clause has constitutional issues and suggested that the Committee revisits the clause. Ms Tobias commented that Mr Momoniat had already agreed that the clause needs to be revisited. Mr Havemann indicated that the wording will be looked at the following day which will be then communicated to Adv. Jenkins. Ms Tobias added that the wording should be looked at the following day. The Chairperson noted that the Committee also has to look at the new version of the Bill use because there are two outstanding policy issues. Mr Lees noted that amendment 14 of 274 is very similar to and suggested that it is done in the same way and the wording looked at as well the following day. Mr Lees commented that there is element of fault missing in clause 275. Mr Havemann indicated that there is willingness to double check the clause. Mr Dixon agreed with Mr Havemann. Mr Lees commented that there need to be an amendment and if the possibility is there then it should be included. Mr Kumlani agreed with Mr Havemann. Mr Dixon added that by inserting the word intentionally means that someone who negligently committed an offence is not guilty. Mr Momoniat commented that the clause is a major issue. Mr Havemann added that there were major discussions on the clause and National Treasury’s view is that if one is a director of a company then there should be some liability for the actions of a company. Therefore, shareholders and directors should be held liable for the decisions they make. It is not clear whether the law clearly says that but it should. For instance, if a car is going past a robot it is automatically assumed that the person driving the car is at fault. The clause is to the effect that if the director of a company proves that reasonable steps were taken to prevent the action then will not be held liable, if not, will be held liable. Mr Dixon indicated that there a lot of debates on the clause and it was softened from the original clause, the original clause was that even if the director was absent from the board meeting could be held liable. Ms Tobias indicated that she remembers that there were a lot of engagements on the clause. Ms Gibson added that the clause summarises whether the intention is to hold individuals personally liable, internationally and locally, if one manages the company the corporate veil has to be protected. Ms Kekana indicated that she agrees with the clause. The Chairperson said that he is of the view that the DA has no case on the clause. Mr Lees commented that there is agreement that the directors in a sense have to be held liable, however the question is even if they had no knowledge of the actions will be held accountable. Directors meet maybe once a month and often do not know of what is really happening in the business. Ms Tobias commented that the clause is being interpreted differently and asked for clarity. Mr Havemann clarified that the words in a practical sense mean that directors have to prove that they have a process of checks and balances in place. The intention is not for the director to know of every single activity in the company but one would expect that a director to ensure that there is a system in the institution. Mr Maynier noted the notion that the Minister must make regulations was agreed on, the proposed amendment put forward is to say that the MOU having all the practical issues should be in place and it should be considered to ensure that the mechanisms are in place before the working of the bulk of the Act actually comes into effect. Mr Momoniat enquired how an MOU will be in effect before a conduct authority is established. Mr Bednar-Giyose indicated that section 14 of the Interpretation Act provides what has to happen before provisional bodies are put into effect. The provision provides necessary arrangements to be provided for by regulations. The Chairperson noted that section 3 or 4 of the Act is substantially what the Committee required. Expressed that he understands what Mr Maynier is putting forward but not convinced, and if insisting, there can be a clause to draw attention to monitoring if the majority agree. Ms Kekana agreed with the Chairperson. The Chairperson noted that the Committee received a submission from the Organisation of Traditional Leaders of South Africa at the very last moment. The submission basically says that the Organisation rejects the Financial Sector Regulation Bill as well as all workings relating to such a law. They are of the view that the Bill should not go ahead and need a Minister without portfolio with proper powers assigned to him. The Chairperson asked the Members if they have any comments on the submission. Mr Momoniat noted that the first issue is one relating to the Chief Ombud. The Chairperson commented that the Committee is fine with the amendment. Mr Momoniat indicated that a letter was received from the Department of Justice and agreed that on the Insolvency Act it is not possible to just make huge changes without having hearings and so forth. As reflected in the end document the Department has indicated that they would be agreeable to the following amendments which would update obsolete terminology and align the provisions with the Financial Markets Act. These revisions would address a significant of the concerns raised by Banking Association of South Africa (BASA). Ms Bednar-Giyose added that the number of the provisions were references to legislation in the Financials Market Act so the provisions are being aligned with the Financial Market Act as well as reference to financial instruments. By doing so, concerns raised by BASA were addressed. The wording was submitted to DOJ and they indicated that they are comfortable with just editing the provisions. The Chairperson noted that the Committee has no problem with it. There seems to be some confusion on the clause which basically says that there should be some standard set for a principle and the Chairperson asked for clarity on where the principle derives from. According to his understanding the principle came from discussions in the Committee and it is not a clause from BASA. There are some Members who think that the clause is a BASA initiative. Mr Momoniat responded that the clause came from the National Treasury and there is a legal opinion of the customers’ relationship therefore if the institution does not want a specific person as a customer and not obliged to tell such a person, if it’s an agreement they have the right to terminate an account and not provide the reasons. It is to protect smaller customers and of the opinion that it is a market conduct issue. When the clause was put up for public comments, after comments by the financial institutions, it was agreed that clause 108 (q) will be deleted and amend clause 106 (3) (v). Mr Momoniat commented that the clause can be put in the conduct of financial institutions. The Chairperson asked clarity from BASA. BASA responded that it is indeed their proposal. BASA is not at ease based on the fact that the whole relationship is a contractual relationship and the contract does not clearly state if the bank has to give a reason when an account is closed. The termination currently is a decision of a commercial bank informed by many factors. The law does not limit the freedom of the contractual party in deciding to exist a relationship. The concern is that, one of the factors that could be exposed is that if the clause is not dealt with in the correct way could end up with banks being subject to public scrutiny, for instance through courts. The internal approach can create greater risk to the stability of the sector. If possible the matter should be dealt with thoroughly under the Conduct of Financial Institutions Bill. The Chairperson said that he is not convinced and concerned on the reasons why a customer cannot be covered. BASA responded that banks are subject to local legislation and international legislation, which requires that the exact reasons are given in certain circumstances, for example the Financial Intelligence Centre Act. Reasons are given but the concern is the extent of the detail of the reasons. The Chairperson commented in other words, it is not that banks do not want to give reasons but it is the scope of the framework within which reasons are to be given. It is something that can be negotiated with the regulatory authority and asked BASA to clarify why they cannot negotiate on standards. BASA responded that standards can be negotiated on but will be subject to the majority of the Committee. The Chairperson indicated that the option is that there can be a generic clause and then expansion in the Conduct of Financial Institutions Bill (COFI). Ms Tobias commented that financial institutions are a very sensitive market in South Africa. If going to have situation where a matter is discussed and attached to a name, notwithstanding the fact that there is a contextual obligation between two parties. The Constitution provided for the right to information. She cautioned that the impression that the Committee is speaking on behalf of Oakbay should be removed. The situation can happen to any client and have the right to know why the account is being closed. It is a very sensitive matter in South Africa and need to tread carefully. Parliament cannot be the mouthpiece of specific companies unless if there is a constitutional matter then there will be intervention. It is a matter that still needs engagements and Mr Momoniat, the team and BASA should be allowed to have further discussions and that discussion should not be limited to the Oakbay issue. Mr Maynier said that the clause should go into the alternative Bill and accepted that indeed the financial institutions should provide customers with reasons of closing their accounts. The worrying part about the clause is that it needs to be brought into the 21 October version.